Kitchen Remodeling Customer Reviews | The Basic Kitchen Co.
We approach each kitchen installation project with the goal of providing each customer with a satisfying and stress-free experience, from start to finish. Our team of design-build experts work closely with you through each step of your kitchen renovation project, providing design considerations, a project plan, project updates, and the scheduling of inspections. with timing and answering my daily questions. The workers always showed up on time and accommodated my constant requests for changes. I honestly enjoyed doing this project with The Basic Companies and would definitely recommend them to others. Thank you for doing an excellent Job. We are extremely happy with the project and the work done. The team was outstanding! Please extend our thanks to all of the staff – they did an excellent job. The Basic Kitchen Co. is awesome – what a major transformation! The entire crew was professional and well skilled in their crafts. They went above and beyond to meet and exceed our expectations. Thanks for a job well done!!! The outcome was really good – we’re happy! This was the 3rd project we’ve had completed by The Basic Companies. We’re very pleased with the results of our kitchen project. The team was well coordinated which allowed for good results in a very short period of time. If we were going to do another kitchen remodeling project, we would certainly go with The Basic Kitchen Co. again. Thank you The Basic Kitchen Co., it was a pleasure working with you. You surely have a reference-able client in us and we have been letting our neighbors know about the good work you have done. A lot of them have already seen it and have been very complimentary. So, thank you once again. We had a great experience with The Basic Kitchen Co.
We needed our entire kitchen remolded and updated. First, we had our consultation, which was scheduled within a week of contacting the company. The design consultant came to our house to discuss what we had envisioned and how to make it work within our budget. The design consultant was very knowledgeable and professional, and sent us a quote and layout the very same night. We had many different installation specialists working in our house at different times. The project manager and all installers were very pleasant, and kept us informed of their progress. All issues were addressed and resolved very quickly, and if we had any questions or concerns, our project manager was always available to discuss them. Our kitchen turned out great and we will definitely be using The Basic Kitchen Co. for our next project. The Basic Kitchen Co. handled our project perfectly. We needed our entire kitchen remodeled – floor to cabinets. The Basic Kitchen Co. team met with us, listened to what we were looking for, and provided options. He gave us advice on what would work in our space, even if it meant a lower price. The Basic Kitchen Co. representative gave us a price on the spot, and a final design the same day (without us having to sign a contract to look at it). They also provided price options which I really appreciated. Once we agreed on price, that price never wavered. We were given a timeline at the beginning of the project, and every target date was met. They used different crews for flooring, cabinets, and counter tops, all of who were completely professional, clean, and respected our home. They remodeled our kitchen in five working days over the course of three weeks (350 sq. ft. kitchen and entry way). The one factor that really set The Basic Kitchen Co. apart was their responsiveness. Gail, our project manager, responded to inquiries from us quickly. It’s a huge difference maker – we never felt like we were project number – they treated us like we were their only job. We can’t recommend The Basic Kitchen Co. highly enough, and we plan to use them for future renovations. To put it simply, USE THIS COMPANY. The Basic Kitchen Co. was very professional. If anything went wrong, or if we had any issues, they were receptive and quick to fix whatever it was. I want to thank you for all your attention to my project – the entire team was great! My kitchen looks great, and I will take a picture when I complete my renovation project. Question about a kitchen remodel? 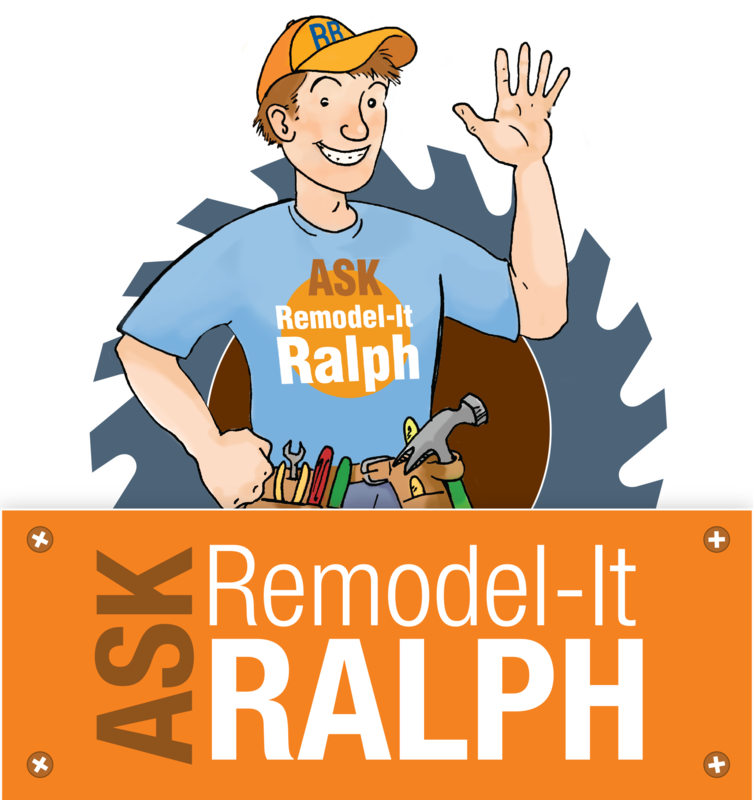 Ask Remodel-it Ralph!